Valocordin drops for internal Use. The Drops may help tone up heart muscle and vessels, have sedative effect, optimize cardiac rate, relieve nervous tension and normalize sleep. May reduce the risk of cardiovascular disorders, heart conditions due to menopause, insomnia, neurosis. Adults take 12-15 drops in the morning before a meal and 20-25 drops before going to bed. Ingredients: Adonis extract, Lily of the Valley extract, Valerian extract, Hawthorn extract, Saponin (Soap Bark Tree extract), Peppermint Oil. 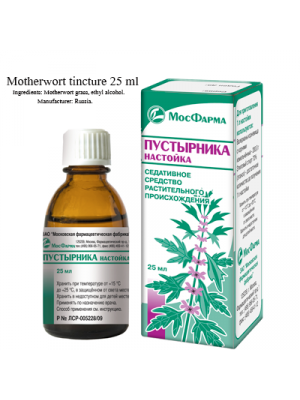 Combined drug, the effect of which is due to the properties of its constituent substances. 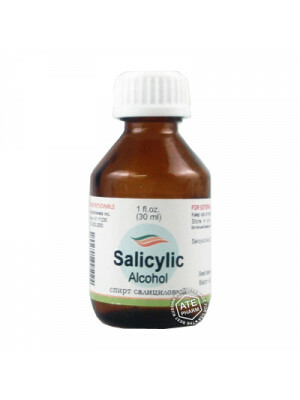 Has a sedative and spasmolytic effect. Facilitates the onset of natural sleep. Vasomotor disorders, neurosis, irritability, anxiety, coronarospasm (indistinctly expressed), IHD, tachycardia, insomnia, arterial hypertension (early stages), cardialgia. Hypersensitivity, acute hepatic porphyria, hepatic and / or renal failure, lactation. Precautions. Pregnancy. With long-term use - drug dependence, the phenomenon of "bromism", with a sharp cessation of treatment - the syndrome "cancellation." Discomfort in the stomach and intestines, allergic reactions. Valocordin comes in the form of a clear transparent liquid and is filled into dark glass bottles of 20 and 50 ml before being sent out for marketing. 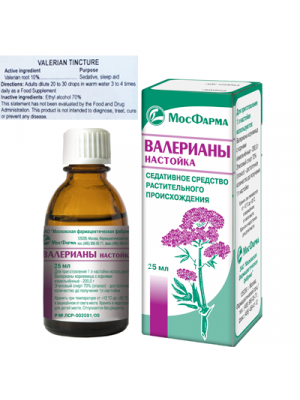 1 ml of Valocordin contains about 18.4 mg of ethyl ester of alpha bromoisovaleric acid and Phenobarbital which are the main active ingredients of the drug. Other ingredients of the drug include valerian extract, hawthorn extract, peppermint oil, saponin, Adonis extract and lily of the valley. It has a fragrant smell and is to be taken in the form of drops only for internal use. 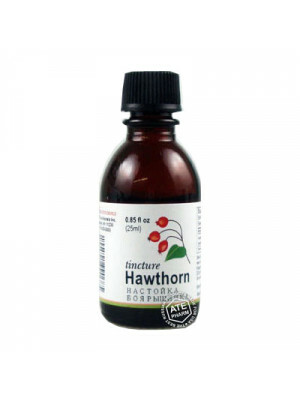 The combined effect of all these constituents produces a spasmolytic effect, thus facilitating the healing and recovery of the cardiovascular and nervous system. It also promotes natural sleep at night. 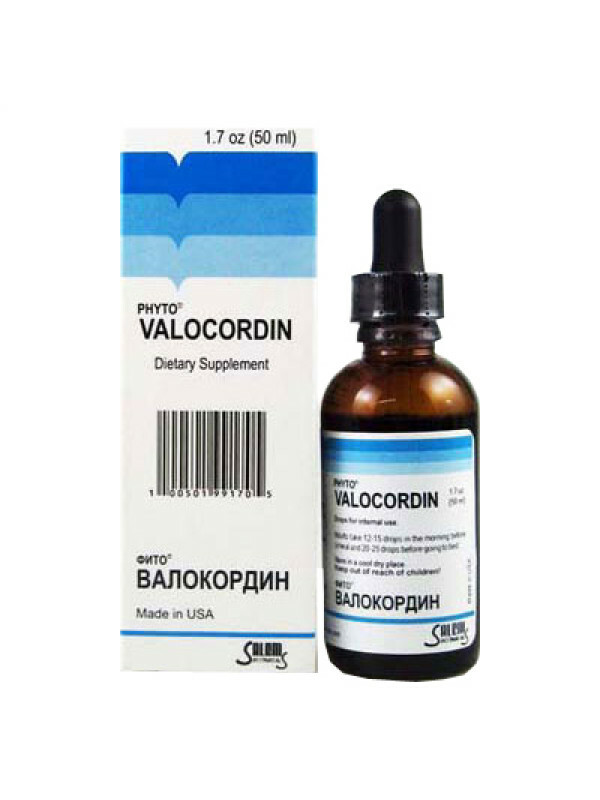 Valocordin is used for treating a number of conditions such as anxiety, irritability, neurosis, vasomotor disorders, coronarospasm, tachycardia, early stages of arterial hypertension, cardialgia, insomnia, disorders in the cardiovascular system and IHD. The drug is also used during states of arousal accompanied by fear. 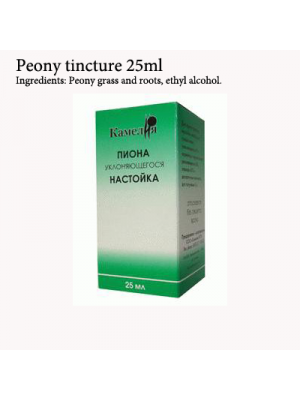 It is not recommended if the person is suffering from conditions such hypersensitivity, acute hepatic porphyria, hepatic and renal failure, brain diseases, alcoholism, liver diseases, lactation and craniocerebral trauma. Women undergoing pregnancy or breastfeeding are also advised to stay away from the drug. If it is needed in an extremely urgent manner, the drug should be sued with caution and the doses are strictly planned by the physicians. Phyto valocordin is most often taken orally with water just before the meals. The dosage can vary from person to person depending on the intensity of the disease and the age of the patient. The normal dosage for Valocordin recommended by physicians for an adult is about 15 to 20 drops thrice a day. The dose can be gradually increased and can go up to a highest of 30 drops per meal. For children, it is 1 drop per day for a duration of 1 year. This product can be bought online and a 50 ml bottle. This dietary supplement is made in the USA. You do not have to pay any extra shipping charges while purchasing this product. No doctors prescription is needed and it is available in stores as an over the counter product. Also, there is a 100% money back guarantee if you are not impressed enough by the product. Valocordin should be stored in a well-ventilated place with temperatures not exceeding 25 degree Celsius. Also make sure the place is dry, away from direct light and the reach of small children. It is best to take Valocordin under strict supervision form a professional and to minimize the use as much as possible. Using Phyto Valocordin for very long periods of time can lead to bromine poisoning, thus leading to a rise of other complications in the body which is also given the name “bromism”. Possible side effects include allergic reactions, dizziness, drowsiness, hemorrhagic diathesis, apathy, depression, stomach discomfort, rhinitis, conjunctivitis, and loss of coordination during movements. The bulk portion of Phyto Valocordin is made out of Phenobarbital and 55% ethanol. Therefore, it can have a sedative effect on the patient, due to which it is considered best not to indulge in activities such as driving after taking the drug. Thank you for best service . ©Copyright 2017 by AptekaStore. All Rights Reserved.